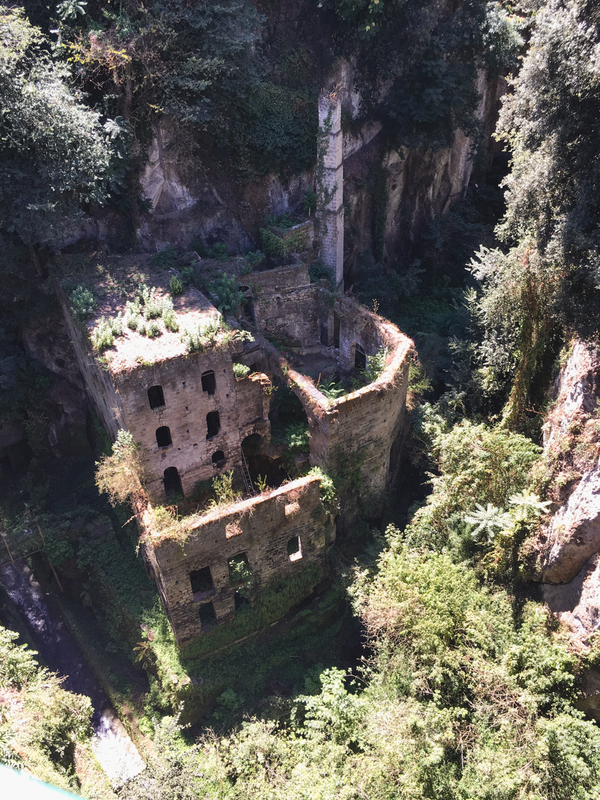 The ancient city of Sorrento sits high on a cliffside about an hour outside Naples. 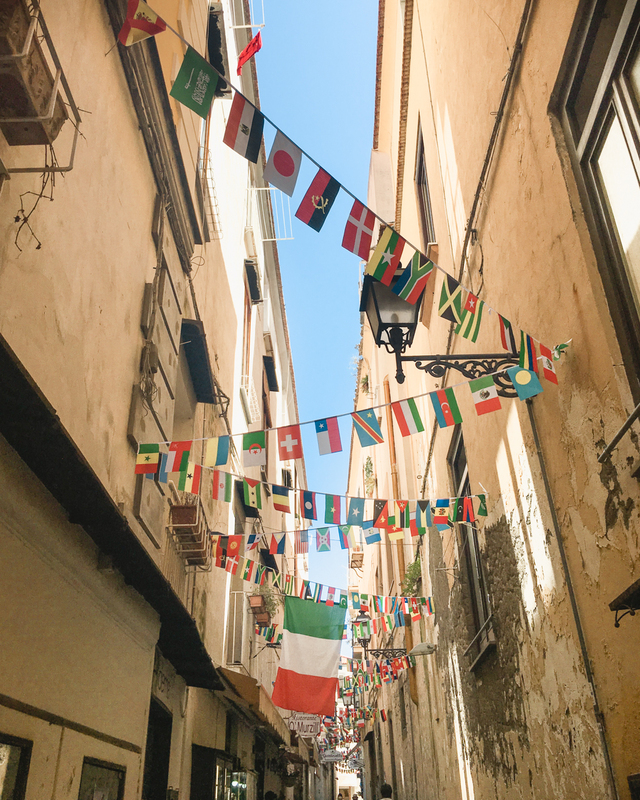 Not only does Sorrento make the perfect base to explore the Amalfi Coast and nearby islands, there’s also a lot to do in the town itself. 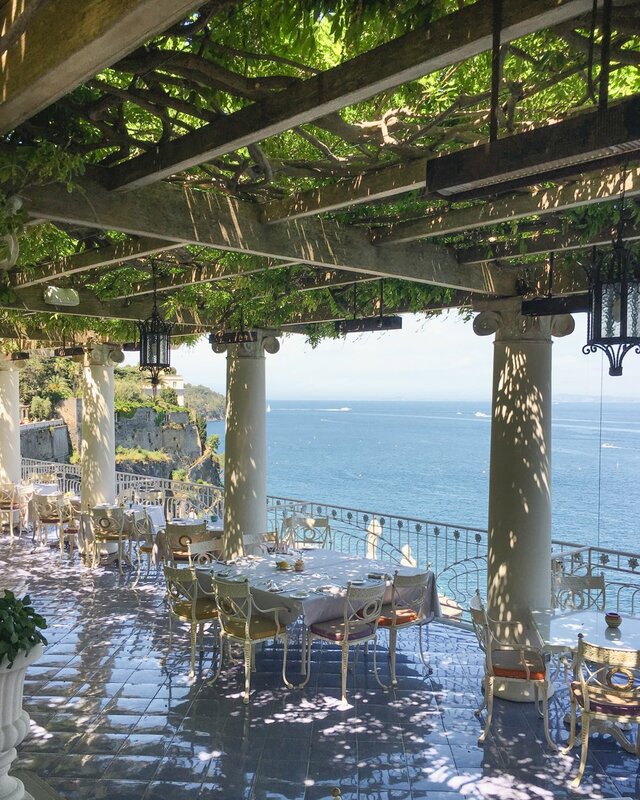 With premiere views, beaches, history, shops and of course, local limoncello, Sorrento offers all the elements of a summer vacation in Italy. 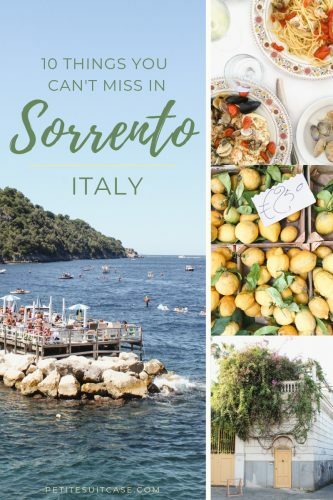 In this post, I’m sharing the top things to do in Sorrento, where to stay and all the details on how to get there. Italy’s beaches are usually divided into private and public areas. 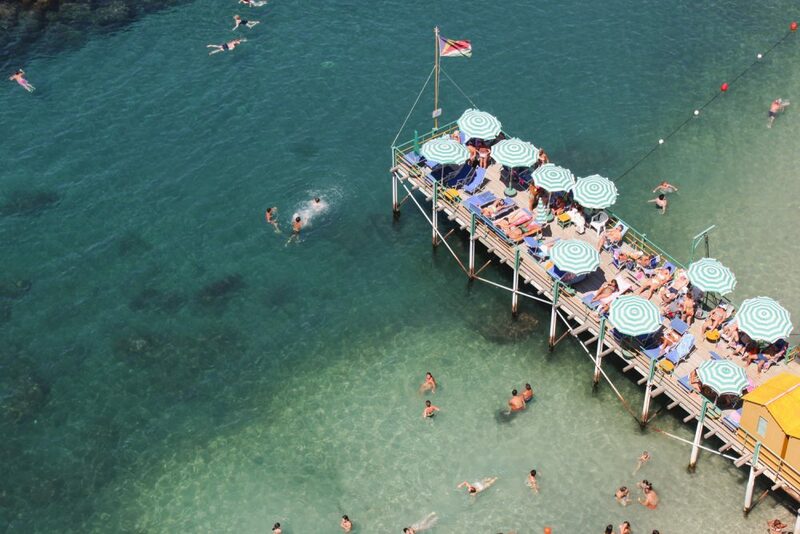 One of the things that makes Sorrento so unique is the beach clubs and lidos on decks built out into the water. There’s a charge to use the lounge chairs, sunbeds and umbrellas at private lidos. It can be anywhere from €10-25 depending on location and amenities. If I’m going to be spending hours at the beach, I prefer to pay a little extra for a nice sunbed, a bathroom, and bar service (because let’s face it, you’re going to want a spritz). 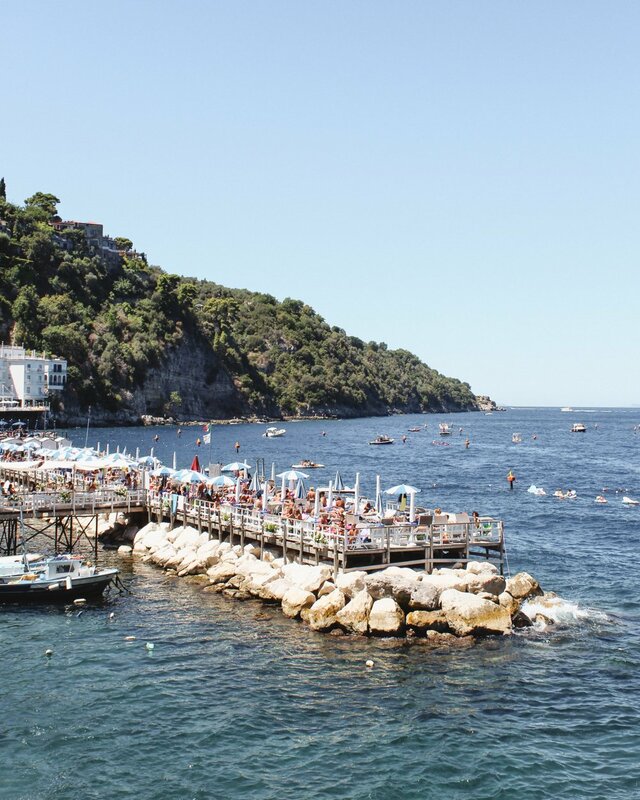 Bagni d’Arienzo near Positano is probably my favorite lido in all of Italy. You can lay on any public beach for free. Just find an open spot and lay out your towel. 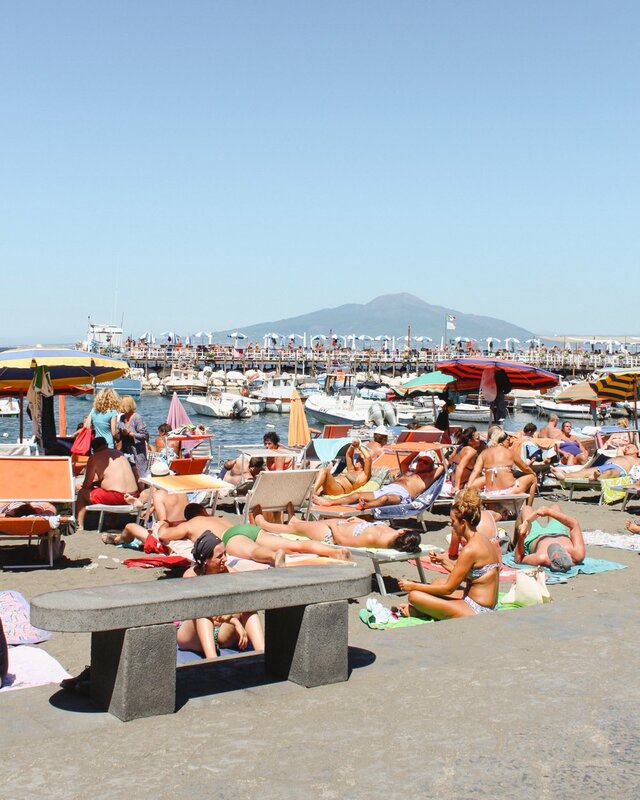 Depending on when you are visiting Sorrento, these areas can get very crowded (like mat-to-mat, hot yoga class in San Francisco crowded). I’ve sat close enough to a family once that I could see they were all eating penne pasta with tomato sauce in their tupperware lunches. Why someone would want to eat room temperature tomato sauce pasta at the beach is another discussion. Get gelato and get it often. Gelateria Davide, Raki, Gelateria Primavera, Puro. They’re all good. 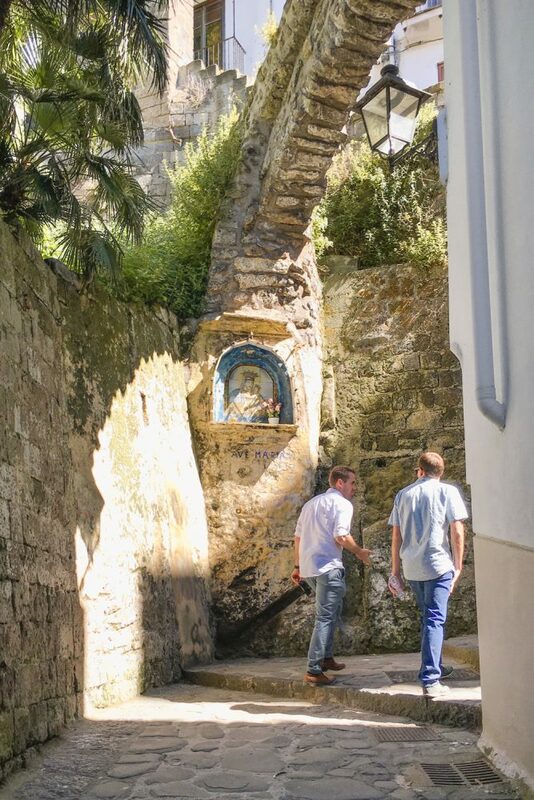 Between the Cathedral of Sorrento and the ocean, there’s a pedestrian-only labyrinth of alleyways. In some parts, the buildings are so close and so tall that you can barely see a sliver of blue skies above. 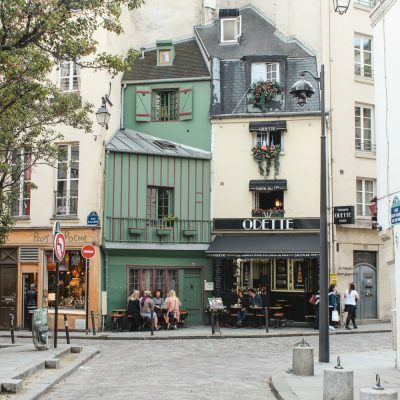 This area is dense with guesthouses, apartments, gelaterias, restaurants and souvenir shops. 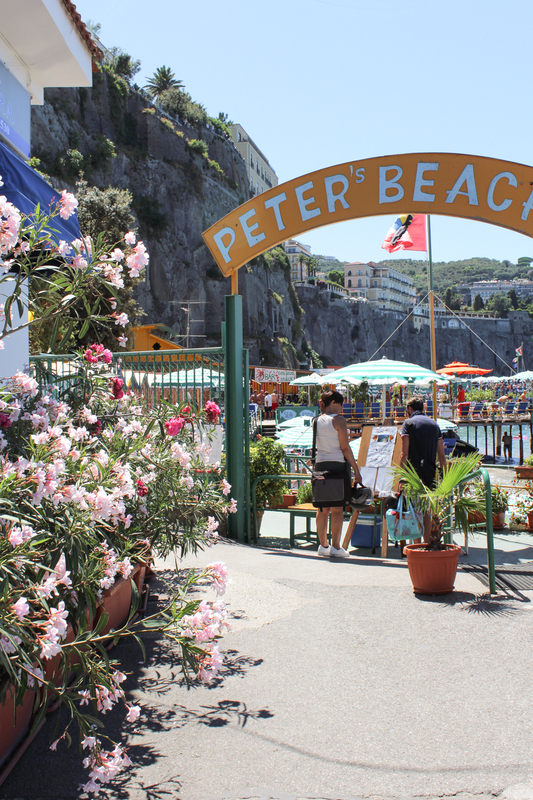 Marina Grande is one of the more charming parts of Sorrento and definitely one of the things you can’t miss. 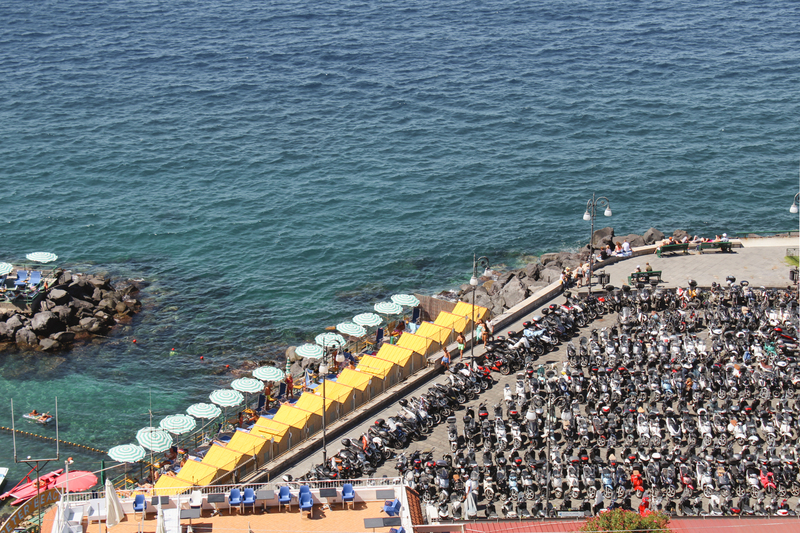 The marina is filled with seafood restaurants, smaller lidos and fishing boats. 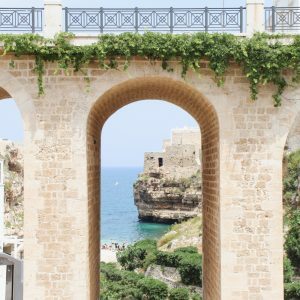 Since Sorrento sits right on the cliffside it’s got more than a few quality look out points. Directly above the main beach area, you’ll find Villa Comunale Park (you can climb stairs or pay to take the Sorrento Lift). There’s endless views of the Gulf of Naples, Vesuvius and Gray Malin-esque scenes of the lidos below. Don’t forget to walk out onto the ferry pier for a look back at Sorrento and a lovely shot for the gram (à la Nastasia of Dame Traveler in this stunning shot on her Instagram). 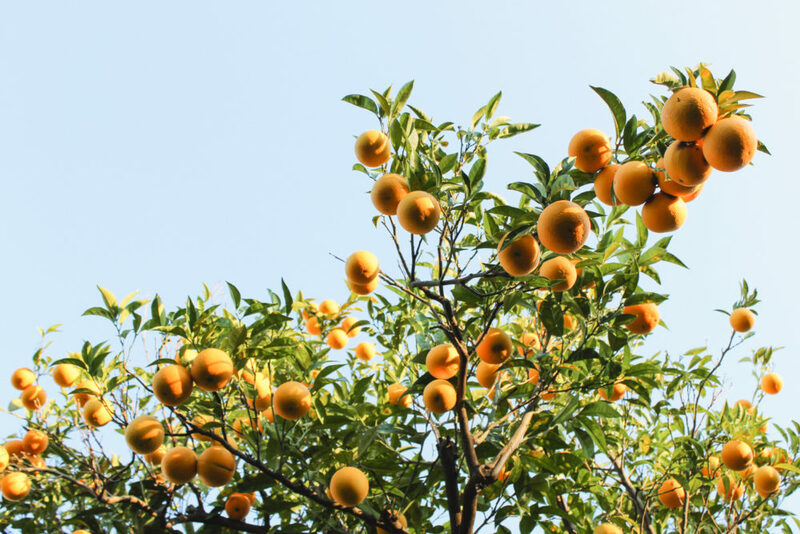 I Giardini di Cataldo is an orchard that’s been producing citrus since the 19th century. In the middle of the lemon grove, they have a shop where you can taste their limoncello, gelato and marmalades. I first strolled through here around Christmas. It seemed like all of Sorrento was in hibernation, but this orchard was alive with fruit. 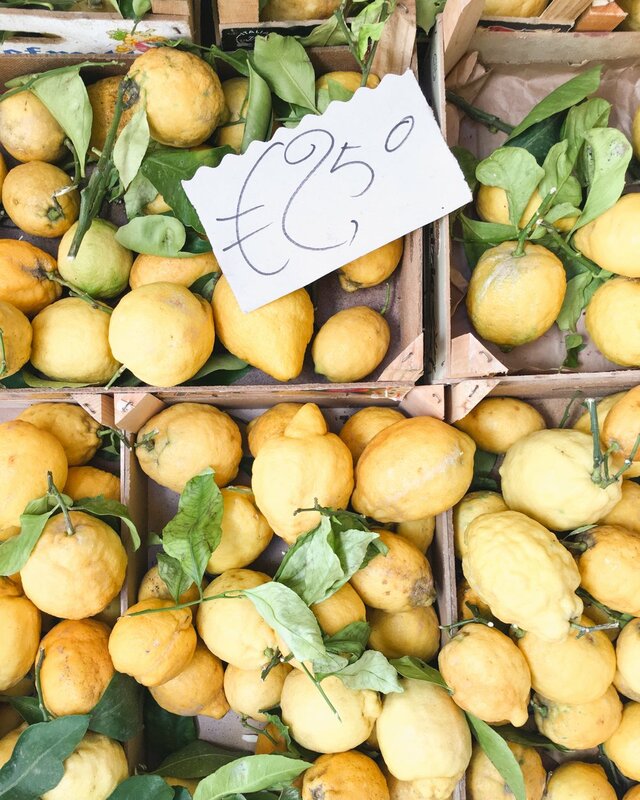 For a more hands on experience, check out this Viator tour to get an in-depth look at a lemon farm, cheese factory and local pizzeria. After years of watching Neapolitans make pizza, I’d love to hear their advice and get a proper demonstration. Bar Erolano and Fauno Bar are two spots located right in the main piazza. I love the corner location of Bar Erolano. 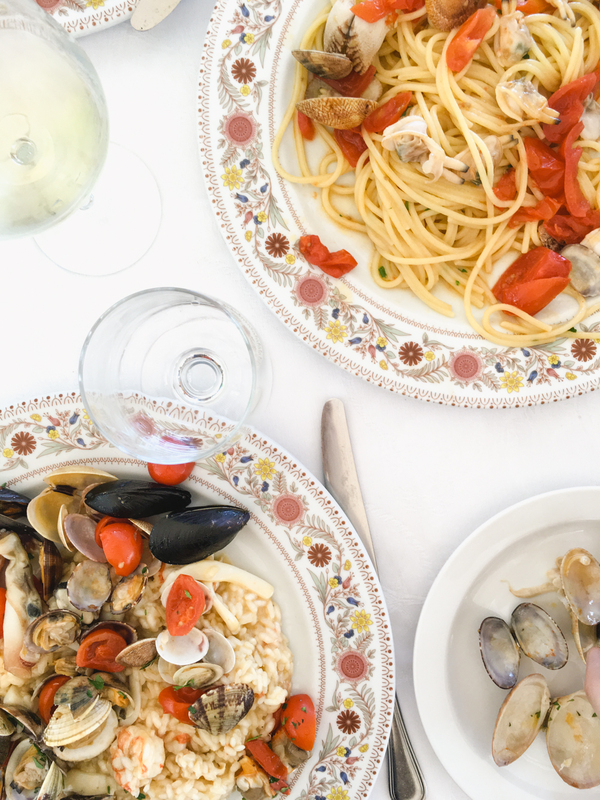 Take a seat, get a limoncello spritz and watch all the action in this lively piazza. If you don’t know to look down, you could walk right by this old mill. The valley right behind Piazza Tasso was formed over 35,000 years ago during a large earthquake. The mill itself served the area for hundreds of years by harnessing the power from the streams. In the late 1800s, urban planning and blocked access to the sea caused the mill to close. 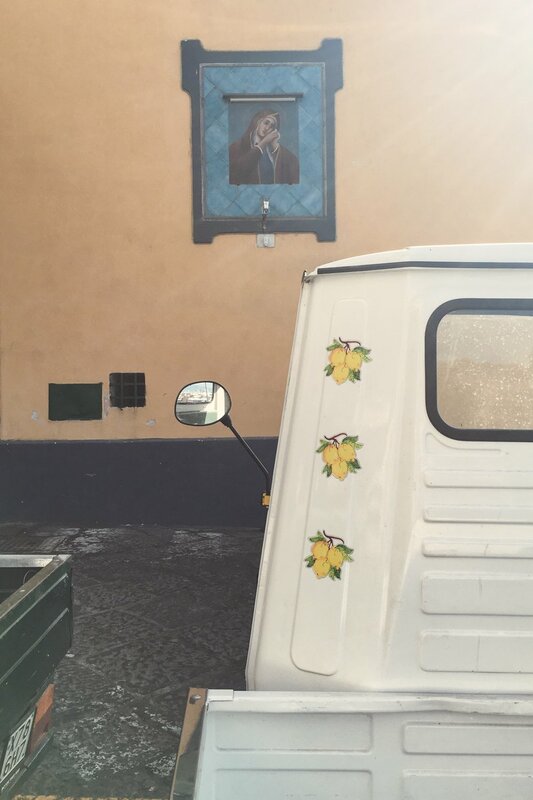 The whole Amalfi Coast is known for lemons and limoncello, but Sorrento in particular. 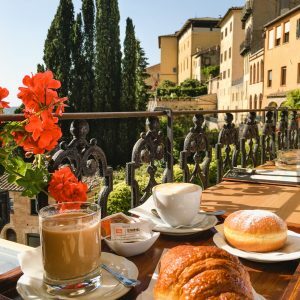 You can find lemon themed anything: limoncello, lemon candies, lemon chocolates, lemon granita, lemon spritz, tablecloths with embroidered lemons, ceramic lemons, lemon wine stoppers… you get the point. You’ll also find shops selling leather goods, sandals and kitschy souvenirs. 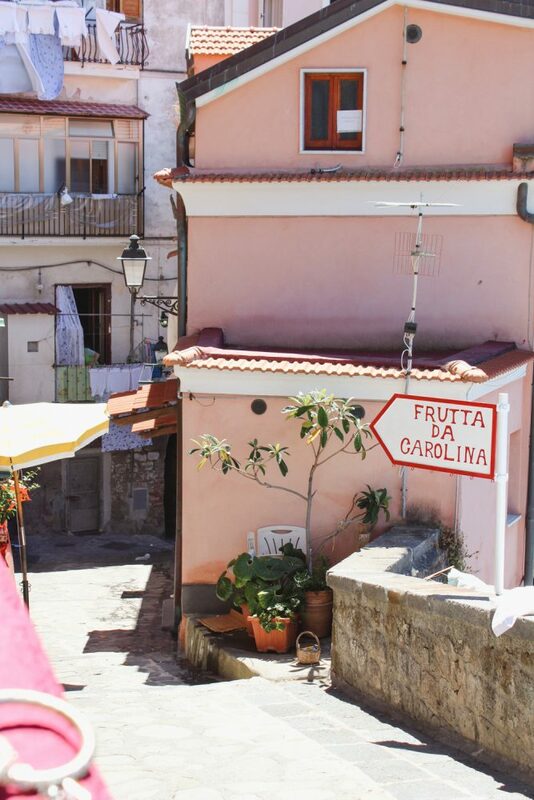 Sorrento has the feel of a small fisherman’s village with all the transportation options of a large city. 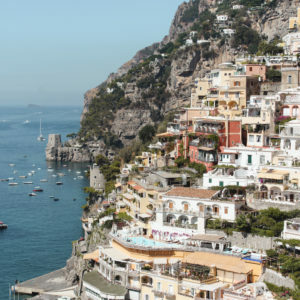 By boat, train or car, it’s easy to get to Pompeii, Positano, Capri and Ischia. 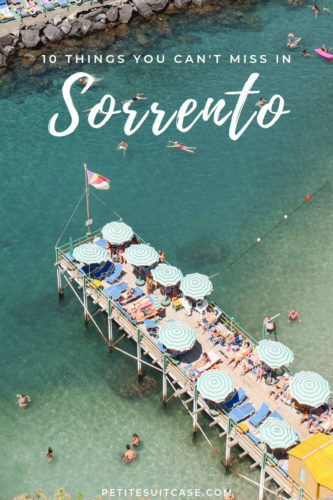 The first time we visited Sorrento we stayed at Surriento Suites. Book a stay there for easy access to the ferries, a nice ocean view and a memorable complimentary breakfast (also on available Airbnb). For a similar location, check out Yacht Club Capo Cervo if Surriento Suites is fully booked (also available on Airbnb). 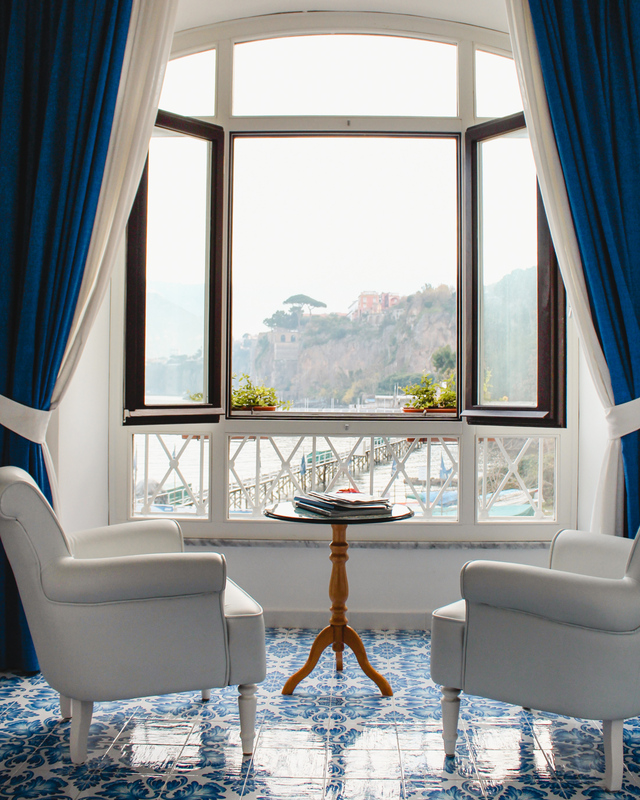 Hotel Bellevue Syrene and Grand Hotel Excelsior Vittoria are the premier 5-star luxury properties in Sorrento. Both offer amenities like a pool, spa, gym and fine dining. 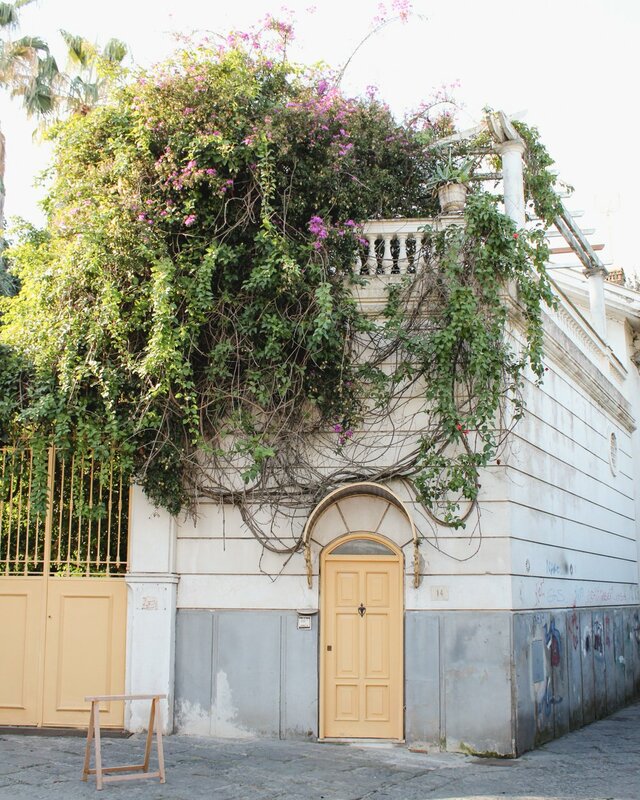 Bellevue Syrene also offers a private beach and this beautiful wisteria covered terrace. 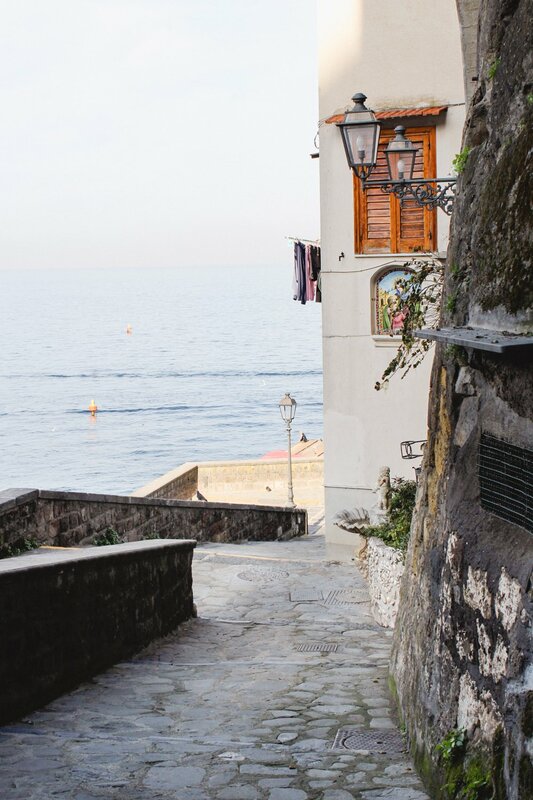 Sorrento is one of the easiest towns along the coast to reach. 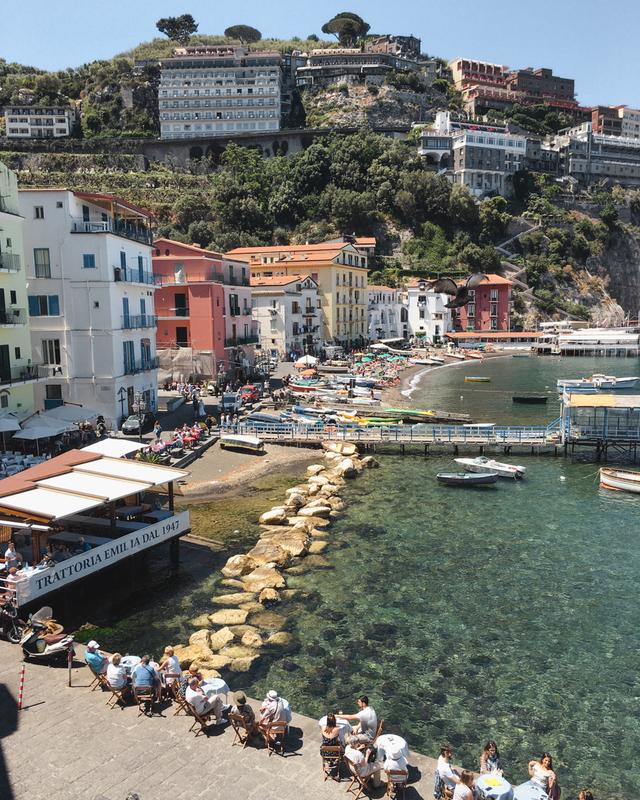 With a train station, bus routes and a ferry port, Sorrento makes a great base to explore the Amalfi Coast. 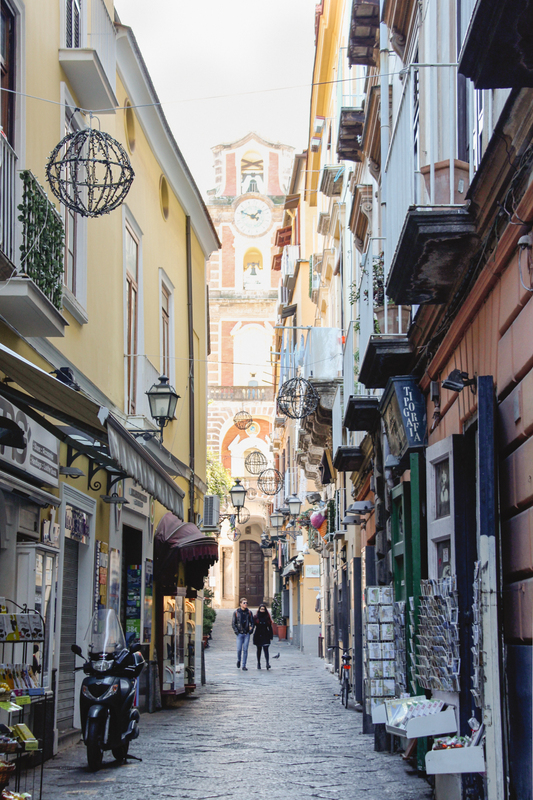 If you’re arriving by plane into Capodichino Naples airport, you’ll want to take a shuttle straight to the Sorrento train station. I used the Curreri Viaggi shuttle once, about €10 one way. You can also reach Sorrento by ferry. 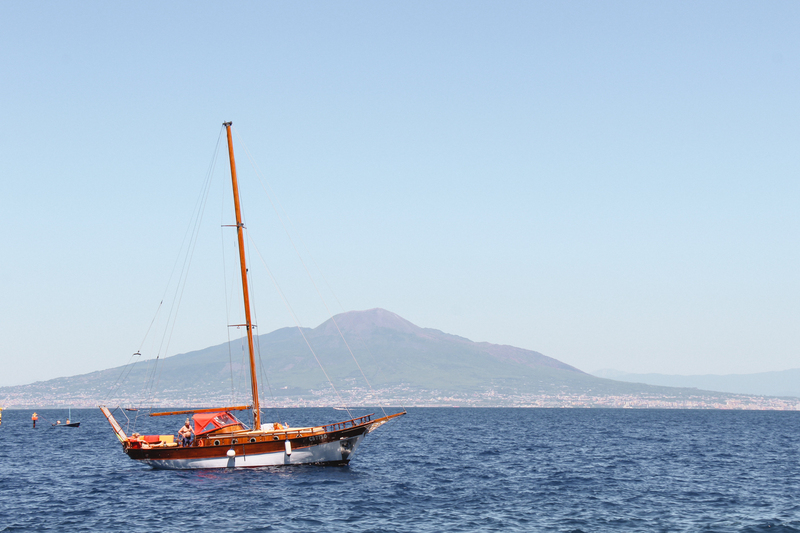 Direct routes run to Sorrento from Naples, Capri, Positano, Ischia and Procida (some only operate in high season). Alilauro, Caremar and NLG are the major ferry companies. You can check the schedule and prices online. I’ve always purchased my ticket at the gate before boarding, but you can book ahead as well. One of the most popular ways to get to Sorrento is by the Circumvesuviana train. The route starts at the lower level of the Garibaldi train station in downtown Naples. Rickety, covered in graffiti and pickpocketer central, the Circumvesuviana is not exactly a luxury train experience. It’s often hot and crowded, but it’s just a few euro and leaves frequently. 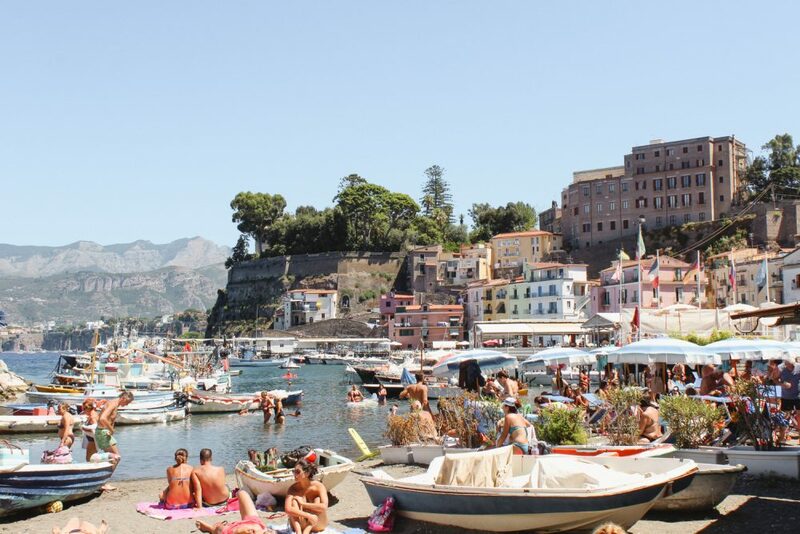 After about 26 stops, you’ll arrive in Sorrento! Did you think to yourself, “Ugh.. no, thank you…” after each of those descriptions? You can most certainly hire a private driver. Direct car hires are very convenient and really save time. You could always rent a scooter and park in right in here with the rest of them….